Edging systems by EverEdge, for hard landscaping projects ..
EverEdge Halestem has been designed specifically for use in hard landscaping projects. Made from 2.0mm thick galvanised steel, EverEdge Halestem has an L shaped profile making it the ideal edging system to be used alongside tarmac/asphalt, resin bonded surfaces as well as brick and block paving. The Halestem range comes in a variety of heights from 50mm up to 150mm and the whole range comes with a rolled top edge giving a smooth 6.0mm wide top bead. 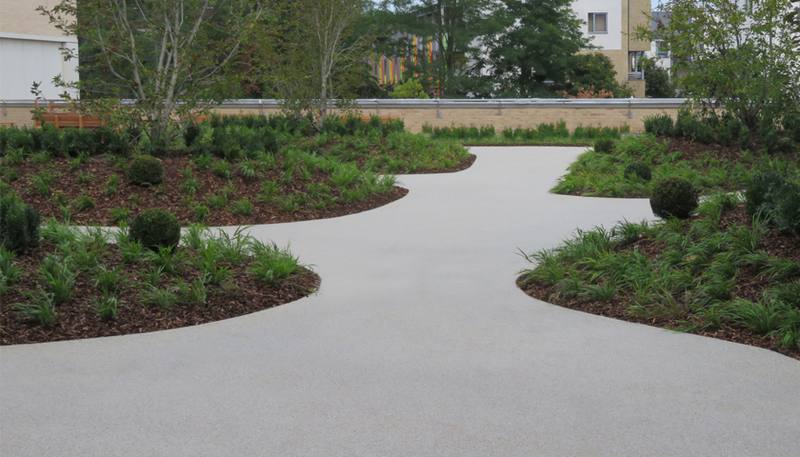 EverEdge Halestem has been used around the country to edge projects of all shapes and sizes, from private driveways to university campuses.